Are you looking for a natural approach to better health for you and your family, or a way to get well and stay well that avoids drugs or surgery? You can start to enjoy a better quality of life when your nervous system is at its optimal function. 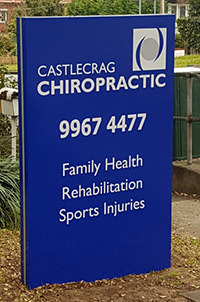 At Castlecrag Chiropractic we have been treating families on Sydney’s North Shore for many years. Our chiropractor, Dr Chris Charlton, takes a keen interest in the treatment and development of pregnant women, newborns and young children whilst other family members also make up an integral part of our practice. We are willing to listen compassionately and explain everything in advance. A tour of our website will give you information on how Chiropractic can help your health concerns and provide you with specific information about our clinic. Why so much focus on education? Because those who know what a Chiropractor does – and why, seem to get the best results in the shortest amount of time. This website will explain that Chiropractic is not just about the management of symptoms but also about how you can directly influence your own health outcomes. Take the first step and contact Castlecrag Chiropractic today!